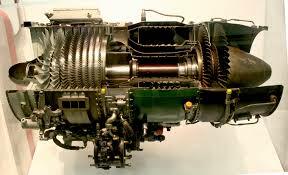 An audit by state-run Hindustan Aeronatucs Ltd suggested bribery in deals with Rolls-Royce for fighter engines. The investigation was launched after an internal audit by HAL suggested discrepancies in the deal. HAL’s deal with Rolls-Royce was for the purchase of engines for “advanced fighter jets,” intended for use in the Indian Air Force and Indian Navy’s aircraft. According to the Wall Street Journal‘s account of the story, HAL’s dealings with Rolls-Royce were particularly problematic because they involved the use of an outside adviser (i.e. an intermediary) to negotiate and win contracts between 2007 and 2011. As an anti-corruption measure, Indian law prohibits intermediaries and middlemen from becoming involved in government deals. “We will cooperate fully with the regulatory authorities and have repeatedly made clear that we will not tolerate misconduct of any sort,” said a spokesman for Rolls-Royce. Last year, a major scandal gripped the Indian defense ministry when it emerged that several senior officials were implicated in corrupt deals involving bribery with the helicopter manufacturer AgustaWestland. That deal was significantly smaller than the $1.6 billion Rolls-Royce deal, weighing in at a still hefty $740 million. The contract was for 12 AgustaWestland AW101 helicopters, intended for use in the transport of key state officials, including the president of India. The AgustaWestland incident was the most of recent of many cases of corruption tainting India’s already troubled defense procurement practices. Corruption in the defense industry isn’t new in India, but the Indian defense community isn’t the only one to suffer from such practices. Last year, the U.S. navy was shaken by a scandal involving one Malaysian businessman known as “Fat Leonard” who acquired several lucrative contracts through bribery.